Yesterday, we talked about how chasing volatility can be a loser's game. 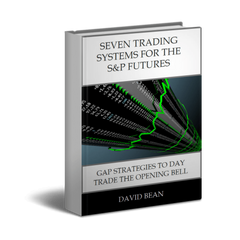 Today, we discuss seven of our top selective trading systems. Sitting back and waiting for more selective and precise trading opportunities using low frequency strategies provides us with several benefits. We discuss the benefits of selective trading systems in more detail below. Longevity through different market cycles will help sustain us through extreme market cycles. If you trade a high frequency strategy and the market is out of character for a month, the losses can be much larger if you are trading every day or several times per day. Selective strategies typically trade 3-7 times per month and may not even trade some months. There can be losing months and drawdowns but the nature of the entry rules as well as the limitation of maximum daily entries provide us with selectivity. 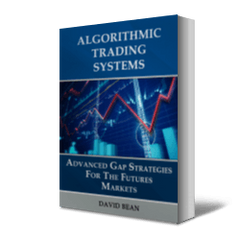 Higher average trade profits can be achieved through low frequency, selective trading. As traders we have to take into consideration transaction costs typically known as slippage and commission. If you take 10 trades per day and your average slippage and commission is $25, then your transaction costs are $250 per day or $62,500 per year. Try taking that many trades with a $25,000 account and you will have to achieve a 250% return to break even. 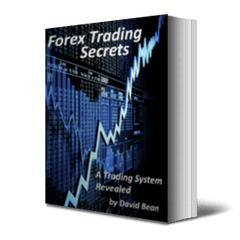 Higher average trade profits also give us the opportunity to use a trading systems broker. Trading systems brokers can trade your strategy for you for an additional per trade commission. Having a systems broker can give you the freedom from having to "babysit" your strategy, reduce real time data subscription and/or monthly platform fees, provide adherence to the strategy, and helps remove the intra-day emotional swings since many traders find it emotional challenging to watch the swings and to prevent themselves from over riding trades or jumping in and out of a trading system. If you go on vacation or if you do other things during the day besides watch live quotes, a system broker can babysit your strategy to ensure automation is working. Decreased emotional responses is one of the most important benefits of selective trading systems. If you watch your strategy trade intra-day and it is a high frequency trading system, it can go through some nice winning streaks but it can also go through some long losing streaks. While it is important to remove emotions from trading, there are very few who actually achieve this all the time. When volatility spikes like it did in February, few systems that trade frequently and are in tune with low volatility will be able to adjust quickly to the high volatility environment and can therefore go into a long losing streak or drawdown and give back, 3, 6, 12 months or more of gains in one month. Its pretty challenging to not feel emotion when this happens. SR CounterTrend Gold took only 4 trades in February. 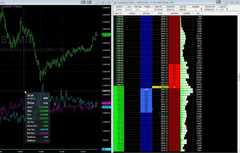 Low frequency trading is a good approach to trading the markets. There are still risks and drawdowns associated with this type of trading as I am sharing a preferred trading method by many top traders and not a perfect method for winning. There are no perfect approaches and every approach has its risks and limitations. Some traders still prefer to trade more actively. More active trading is a valid trading approach but typically requires more capital, experience, and discipline.